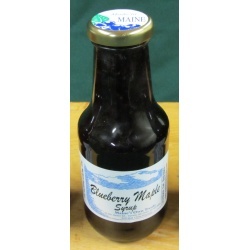 Even more whole blueberries than our Blueberry Syrup! 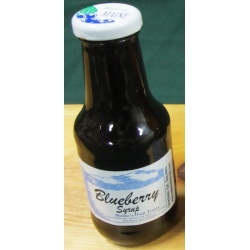 Excellent on pancakes and oatmeal! Tastes like apple pie! 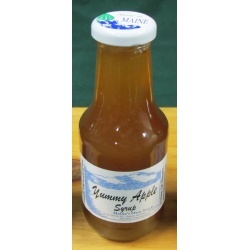 Try it warmed on pancakes or vanilla ice cream! Always pure, always natural, always loved! 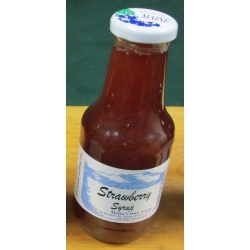 Pourable Strawberries, pancakes never had it so good. 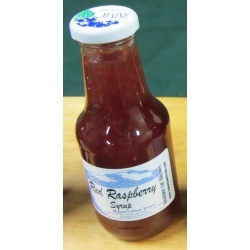 Special flavor syrups are available in 16 oz size only. 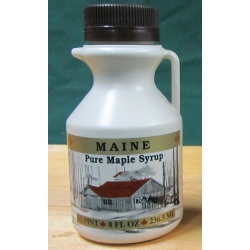 All our maple syrup is Grade A, which is the kind you pass around the table, and made right here in Maine. The amber selected refers to when the syrup was tapped from the trees as it is lighter during the beginning of the season and becomes darker as the season progresses. Eventually it becomes so dark it drops to grade B which is only used in certain recipes. Light amber is considered fancier by some since it is also in less supply. Some Mainahs prefer the dark amber for it's strong maple flavor. We recommend medium amber if you aren't sure which you would prefer. 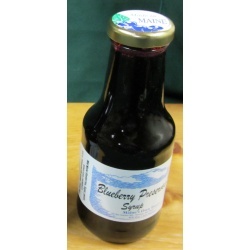 Available in 1/2 pint, pint, or quart sizes. For larger sizes or additional requests and questions please give us a call!